Dressed up in black nylons. Gauges: 60-75-90-115. Nylon flatwound. Short scale. These distinctive black nylon covered, electric flat-wound strings get a great acoustic sound, have a selective harmonic balance, and a super silk-smooth feel. 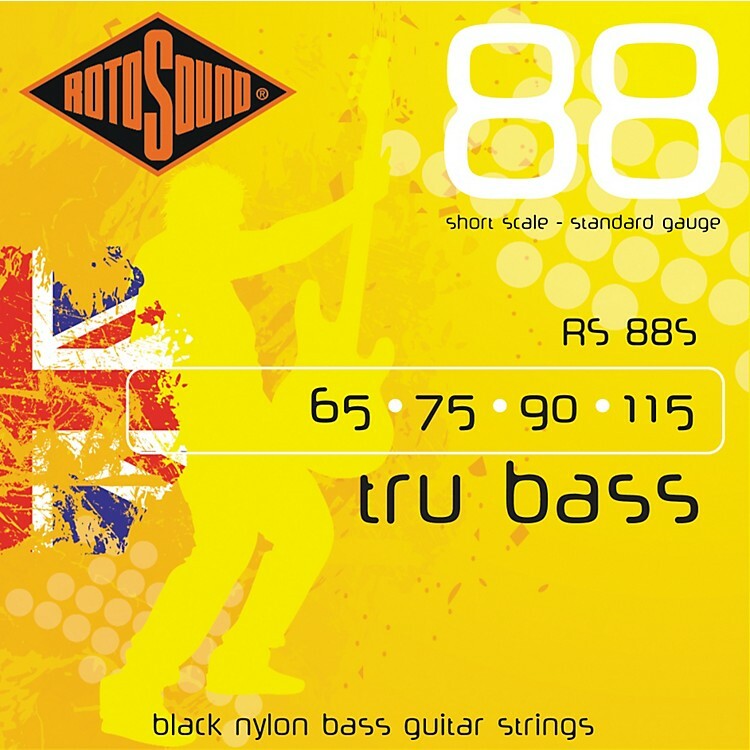 Rotosound is famous for their high quality electric bass strings. Time to change strings? Order today.